As our online activity becomes increasingly visual, one company is helping marketers draw insights from images. We speak to Dashmote’s Stefan Tan to learn more. In an online world that trades increasingly in images, marketers are overlooking a rich mine of insights into emerging trends and consumer behaviour. Thus argues Stefan Tan, Co-Founder and CFO at Dashmote, a technology company using artificial intelligence and computer vision to extract insights from images. 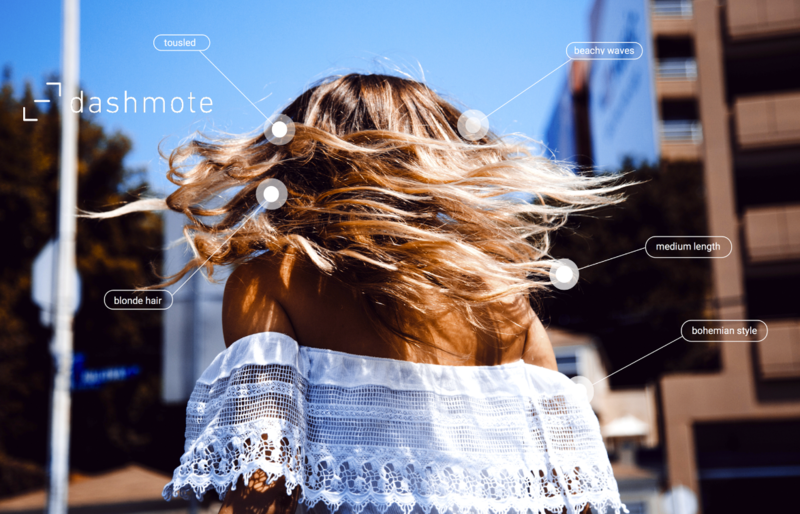 Working with brands including Philips and Unilever, Dashmote helps marketers identify trends in their sector, and use data to inform strategies and validate decisions. That could mean identifying the occasions when a food is being consumed, or locating popular spots where a beverage brand could distribute its products. Could you explain the technology behind Dashmote? We use artificial intelligence and computer vision to recognise trends in a more efficient way. For example, we can combine object, style and concept recognition to quickly produce insights. Computer vision is never used alone, but rather in combination with other analysis techniques. We have also built a big data and automation system that can capture and structure billions of images, making sure our algorithms are able to self-learn more effectively, whilst also covering a wide array of trends. This means the technology can give valuable insights into trend evolution across different cultures. How can the technology benefit brands? Why should they see images as a source of customer insights and market trends? 1.8 billion images are being uploaded online daily. The way we communicate has transitioned from text to images. We often take a picture of something instead of providing any textual description, simply because an image is worth a thousand words. The rise of mobile and visual social media platforms such as Instagram and Snapchat has only enhanced this further. Now 70% of all posts lack proper tags or text. This adds up to a huge amount of data that brands are not taking into consideration. However, visual data is becoming more accessible and prevalent than ever before, and we are now able to capture new insights by analysing images. Rather than taking a small sample and interviewing customers, we can instead observe and evaluate what they are posting and detect their behaviour, thus calculating insights without any assumptions. What kinds of companies can benefit most from using Dashmote? Our initial focus is providing insights to marketers in B2C brands. Our technology is relevant in industries where people instinctively take many pictures such as food, fashion, beauty, and travel, and in industries that heavily depend on marketing intelligence to build their strategies. The key component is to have enough visual data available. In the future, we see the scope of our technology broadening as more data becomes available as devices become increasingly camera-friendly and visually intelligent. When you imagine the visual data that will be provided from drones, retail store cameras, and even satellite imagery…future possibilities will be endless. How does it work for a client? Dashmote offers two models for our clients. One is a subscription model for industry insights report, from which customer will need to generate their own insights. The second model is a custom insight report where we periodically renew the data and tailor it exactly to the needs of the customer. Are there any challenges associated with using visual recognition? From cancer-detecting cameras to self-driving cars, the advancements in image recognition in recent years have been incredible. However, the technology still requires a considerable amount of data in order to recognise complex concepts. The lack of shared image databases means there is a shortage of commoditised, out of the box detection solutions for these complex concepts. But, we luckily live in a world that is increasingly visual, and people are generating millions of images. This is creating increasing amounts of data that can be used to create these custom solutions.